During National Poetry Month, the Telluride Institute’s Talking Gourds poetry program welcomes Denver poet, non-fiction author and naturalist Kathleen Cain to its monthly Poetry Club series in Norwood and Telluride, April 29-30, 2019. The Norwood gathering will assemble at Meadowlark House (the home of poet/teacher Ellen Metrick at 72 Greager Lane in the Norwood Gardens subdivision) at 6:30 on Monday, April 29. The Talking Gourds Poetry Club meets at the Telluride Arts HQ at 6 p.m. on Tuesday, April 30th. Club meetings start with announcements, followed by the featured reader. After a short intermission, there is the Passing of the Gourd where club members and guests can bring a short poem by a favorite author on the night’s theme: Trees/Cottonwoods. Or individuals can share a new original work of their own. 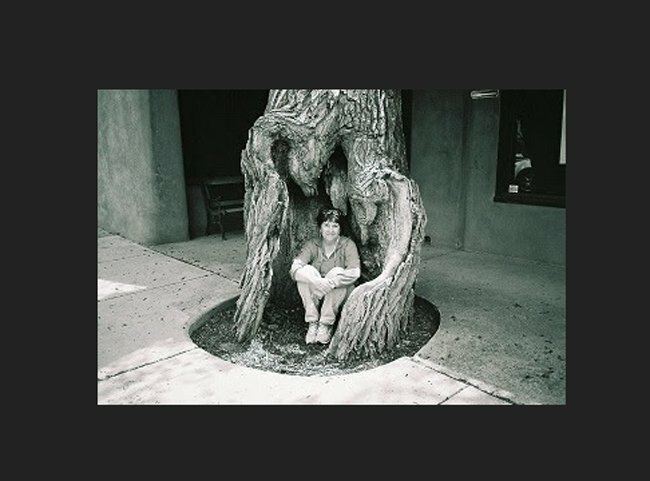 The Wilkinson Public Library will also host Cain at a free Walk ‘n Talk about cottonwood trees Wednesday May 1 from 11 a.m. to 1 p.m.
Kathleen Cain is a poet and nonfiction writer. She was an early recipient of a poetry fellowship from the Colorado Council on the Arts. She has performed with Seth Harris’s Readers’ Laboratory in the Mile High City, and her poems have appeared in many literary magazines and anthologies. Two of them were included in Nebraska Poetry: A Sesquicentennial Anthology, 1867-2017. Her non-fiction book, The Cottonwood Tree: An American Champion (Big Earth Publishing, 2007) was selected for the Nebraska 150 Book Project, in honor of 150 years of Nebraska literature. She delights in giving Cottonwood “Walk ‘n Talks” with interested readers and nature enthusiasts. Next month, May 17-19, Talking Gourds will co-host with Between the Covers Bookstore the 6th annual Telluride Literary Arts Festival. With David Rothman moving to Wyoming, a new Western Slope Poet Laureate will be announced. The 2019 Fischer Prize and Cantor Award winners will also be honored, with a reading of winning poems. Fischer Prize Judge Rafael Jesús González, Poet Laureate of Berkeley (CA), will be the featured reader at the LitFest’s Friday night LitPoets reading. For a complete schedule, go here. Submissions for the $1000 Fischer Prize (national) and $500 Cantor Award (Colorado) are now being accepted here. Poetry club members in good standing get a half-price discount on submission fees for those prizes.